Get up-to-date information and research on elder abuse—from international authorities! 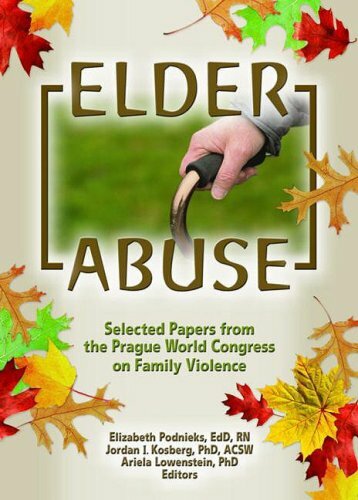 Elder Abuse: Selected Papers from the Prague World Congress on Family Violence is an invaluable collection of the most important presentation papers from the Prague World Congress on Family Violence. This comprehensive book presents the latest research and detailed information on the difficult issues surrounding elder abuse around the world. International experts use a multidisciplinary approach to provide ideas and insights to help provide researchers, educators, and practitioners with practical strategies for dealing with the numerous facets of this disturbing issue. Different types of abuse are explored in detail, including physical, financial, and emotional. This comprehensive source is richly referenced, with helpful tables to clearly explain data valuable to all law and health professionals involved in the issues of elder abuse. Jan Curran, a vivacious socialite and newspaper reporter, reluctantly moves into an Active Senior Living complex to recuperate from a brutal battle with cancer. She tackles the surprises and challenges of her new life with warmth, wit, and courage, meeting a colorful cast of unforgettable characters in an often hilarious yet profoundly moving story of friendship and hope. 1. No sleeping in the dining room. 2. Please use tissues rather than the cloth napkins for blowing your nose. 3. No baseball caps or other head gear in the dining room. 4. Women should not dine with rollers in their hair. 6. No pajamas, nightgowns or robes in the dining room. 7. No wine service with breakfast. 8. Motorized scooters in designated areas only. 9. Wait staff will not be responsible for partials or dentures left on dining tables. 10. Wait staff will not be responsible for hearing aids left on dining tables. Since I am in my 60s and since I visit a retirement home once a month, I enjoyed getting some perspective on what it is like to uproot from the safety and security of your home and past life and move into a new community of people. It gave me food for thought, though the people I see in the retirement home seem much mellower than some Jan described.I enjoyed seeing her go from being an outsider to one who was willing to make useful changes for the sake of other residents. It was a book of hope and reality sparring for victory and meaning. 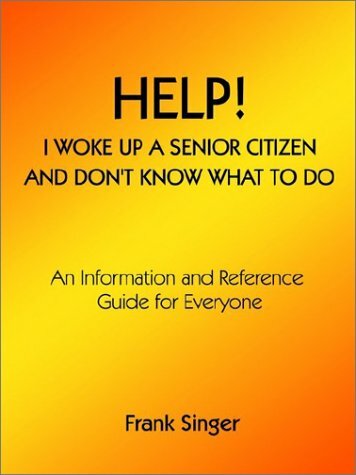 I stumbled across Senior Living while reading the Amazon Kindle discussions. After hearing such praise for the book, I decided to give it a try. What a pleasant surprise! The story was entertaining, funny, and believable. I read the book in a matter of hours, and would love to read even more about the residents of the Active Senior Living Center! 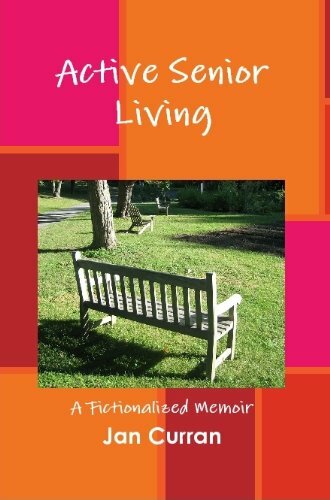 Although billed as a memoir, this book has a loose plot that revolves around the main character's entrance into a facility for "active senior living" and her subsequent battle with a recurrence of the cancer that brought her there.Jan and her children agree that, weak from overcoming cancer, she is no longer able to keep up her house and should instead live in a condo with other seniors.Although advertised as a home for a wide range of ages, Jan quickly finds out that she is by far the youngest resident.Although she starts out feeling like a misfit, Jan eventually finds true friendship and support which she will desperately need when she learns that her cancer has returned.In the meantime, she and her friends deal with issues that range from getting the management of the complex to make needed changes to the sudden death of a fellow resident. This book is both touching and funny.It is reasonably well-written, although an editor could certainly tighten it up to make it flow better.It's not for everyone, but if the description interests you, I'd recommend picking up a copy. I have to take a contrarian view. I've read 40% and have had enough. I don't like the storyteller, the stories or the writing. With the exception of the "chowder" line in the first chapter it is not funny nor is it touching. "Jan" is a b@#?&,judging everyone based on their looks or on how she compares her past wonderful life with theirs now. She is sooo superior. It makes me want to gag.Then she tries to make it all better by being so "saintly" in helping someone. The stories are generally boring(cleaning and dust mops?) and designed to ridicule. Rather than being glad to be alive and appreciate things and people for what and who they are after her ordeal" Jan" just wants to score points. Finally the writing stilted and the dialogue trite. The characters could be interesting if it were about them and not about "Jan". The only redeeming value is the warnings about what one should look for in an "Active Senior Living" establishment. As this was a fictionalized memoir, it did not have a traditional plot. However, it did have a very nice storyline that moved at a pretty good clip, especially for a `memoir.' 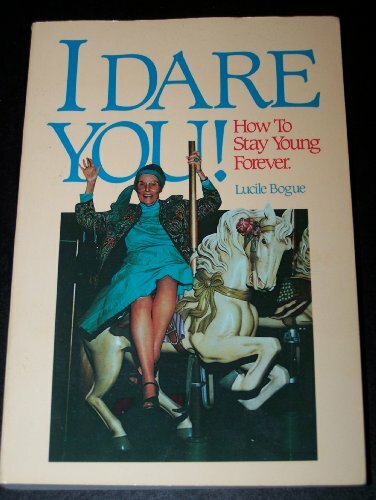 I say that because while a lot of memoirs are filled with the author's personal opinions on just about everything and many of them are rather meandering, this novelization manages to stay on track throughout the entire tale. While readers are given some background when necessary, the novel pretty much limits the storyline to the relevant time period, making for a straightforward story. As the novel was at heart about the elderly, it had to include some sad moments and even death. Ms. Curran did a great job weaving humor within most of the melancholy moments without letting either comedy or sadness overtake the story. I was impressed with this balance. There are moments of outright hilarity. There are also moments where I needed a tissue or two. It's difficult to discuss character development of the main character knowing that the main character is the author. So, as a disclaimer, I'd first like to say that anything mentioned here is not a reflection of the author herself, but a reflection of how well she portrayed herself. Jan came across as a very critical person, especially when she first meets the others in her new home. She was constantly referring to their looks, especially their weight, in a derogatory way. While many comments seemed to be put in for humor, there was an underlying tone of disdain that made it hard to like Jan for the first half of the novel. Those types of references were toned down in the second half, make it much more easy to sympathize with Jan through her ordeals. It wasn't really made clear if the lower amount of insulting comments about the physical appearance of others was due to the growth of Jan's character or if the first half was just a little off on its representation of the `real' Jan. I think the latter is more the case, as her actions throughout the novel portray her as being a pretty nice person. The other people in the book were fairly well developed. They were each unique with interesting personalities. The writing style was great with smooth sentence flow. The descriptions were a little windy at times, but still within normal limits to maintain the nice speed of the storyline. The dialogue was excellent; I could really hear each character. There were a few too many editing errors scattered throughout, mostly missing punctuation and words. The entire book was indented. This isn't a huge deal. It's just that it causes less words to appear on each page resulting in having to hit that "Next Page" button a little too often for comfort for a fast reader.